Hello and thank you once again for joining us down at the crossroads for some music, magick, and Paganism. Where witches gather for the sabbath, offerings are made, pacts are signed for musical fame and we cross paths with today’s most influential Pagans, occultists, and deep thinkers. 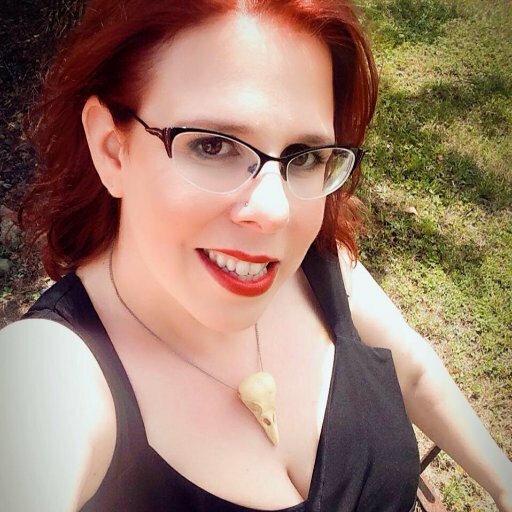 I am your bewitching, bald headed, host Chris Orapello and tonight Tara and I meet with witch, glamour magick muse, shop owner, blogger, and author Deborah Castellano to talk about her path as a witch, fancy dancing, glamour magick, working with life partners, and more. Tara and I had a great discussion with Deb, all while testing a new recording setup for the show and seemingly discussing everything under the sun and moon. Deborah will be having her first book published through Llewellyn in August of 2017, Glamour Magic: The Witchcraft Revolution to Get What You Want (available for pre-order from Amazon) and we thought now would be a great opportunity to sit down and chat with her for a spell. We hope you enjoy it.